Are you getting the most from your cash back credit cards? Do you even remember they’re available from month to month? Here are a few things to keep in mind and a few things you should avoid when it comes to these cash back dynamics and if you can incorporate them, you’ll see princely cash back bonuses that you never would have expected before. For quite some time, you’ve read in our blogs the importance of first, paying off credit card balances each month and just as important, we encourage our readers to always carefully review the terms and conditions associated with any credit card offer. There’s a reason we advocate so strongly – not knowing what rules you’re playing by can cost you. A 0% introductory APR rate is often exactly what consumers are looking for; there are offers with these intro rates for 6, 12, 15 and sometimes even more months. Usually, a percentage of your total balance transfers are charged as “upfront fees”. While not all credit cards stipulate this, if you’re looking to transfer big balances to a lower APR, be sure you understand what you’re getting into. Monitor the various fee structures and any changes, too. 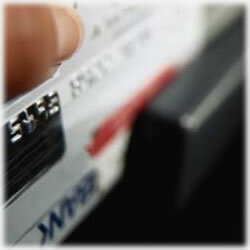 If a credit card company changes or raises your interest rate, it must by federal law, give you ample time beforehand. Also, you might discover an alarmingly high interest rate kicks in on the remaining balance after your intro rate expires. This is important since depending on the remaining balance, you could easily end up losing the footing you’ve gained with the 0% APR. In fact, your credit card company and banks are hoping you’ll do exactly that. It’s true that not all credit card companies have those restrictions in place, but it’s better to know beforehand so that you’re positioned to avoid that scenario. Many in the financial sector have begun offering consumers a “duo intro rate”. What this means is your balance transfer will have its own compliance guidelines, such as 12 months to pay off your balances, but will only offer a 6 month introductory period on your purchases. Pay attention to this as, again, it can easily wipe out any savings you’ve worked so hard for. Biggest Perk: $100 cash back bonus after spending $1,000 in eligible purchases during the first ninety days of your account. Cash Back: 3% at supermarkets; 2% at gas stations and department stores and 1% for all other purchases. What we see: For those who like the idea of a fast cash back bonus, you’ll notice the “eligible purchases”. Biggest Perk: $100 cash back after spending $500 during the first 90 days, Remember: it’s all about the “eligibility of your purchases”. Cash Back: 5% cash back up to $1,500 for purchases at gas stations, Amazon and others. Also, the rotating categories provides even more ways to earn your cash back. Intro Rate: 0% APR for both purchases and balance transfers. For your balance transfers, this intro rate is good for 12 months; your purchases are interest-free for just 6 months. What we see: a 3% balance transfer fee. Biggest Perk: This Capital One offer has many. First, you’ll earn 50% bonus cash back every year on your anniversary. Also, spend $500 during your first three months and you’ll receive $100 cash back. Cash Back: Along with the initial $100 cash back bonus, you’ll also be able earn unlimited cash rewards that never expire. Intro Rates: 0% for balance transfers and purchases. What we see: This offer – and the 0% intro rate – is good through February 2013. Of course, this is just a small sampling of the many perks-rich credit card offers on the market today. There’s bound to be on that meets your needs while not cutting into your efforts of saving. Whether it’s a Capital One or American Express, you can find the terms and conditions on the credit card companies’ respective websites.